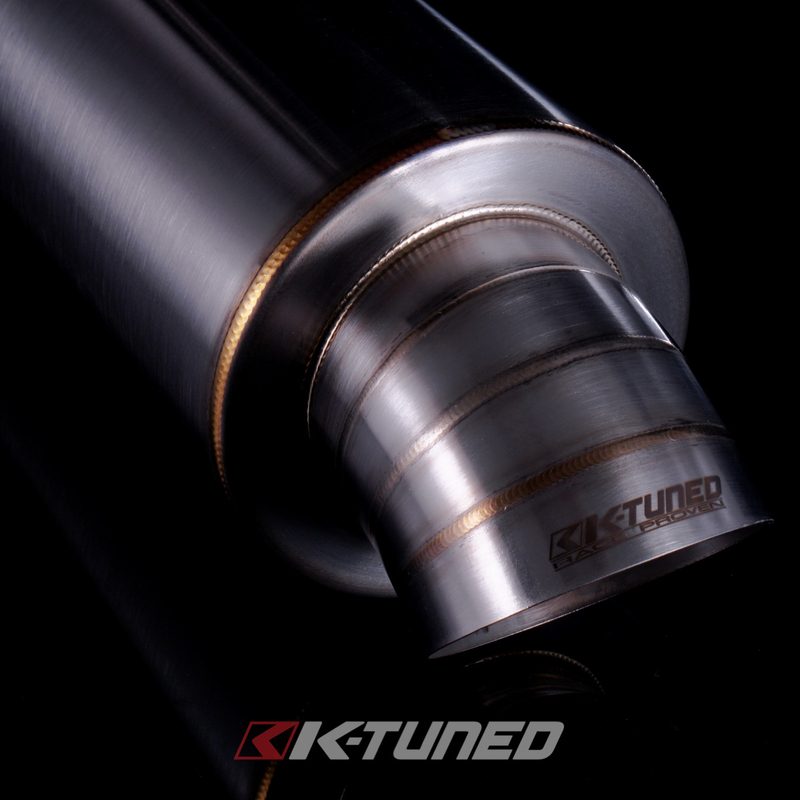 The K-Tuned Turndown Muffler is constructed entirely of 100% T304 stainless steel, including internals. 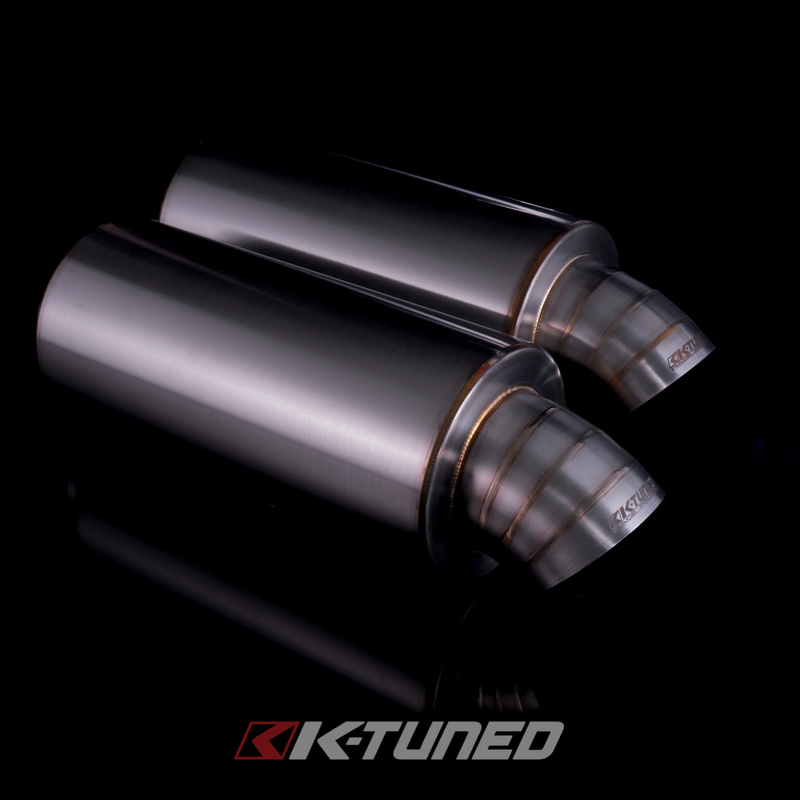 The straight through design with a perforated tube, minimizes exhaust restriction and maximizes power output. 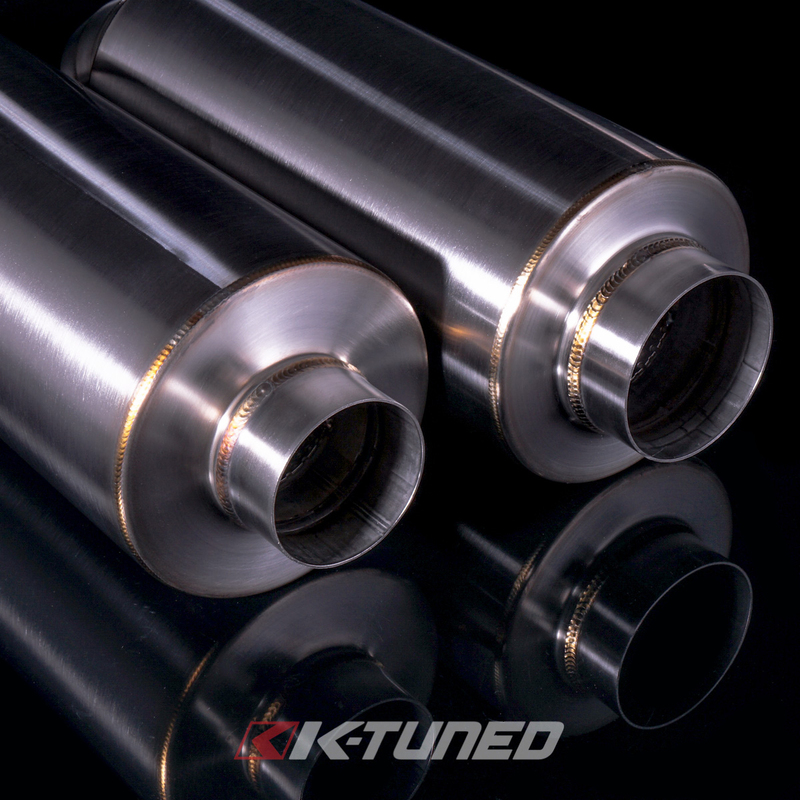 Packing/sound deadening material is one of the most important features of any muffler. 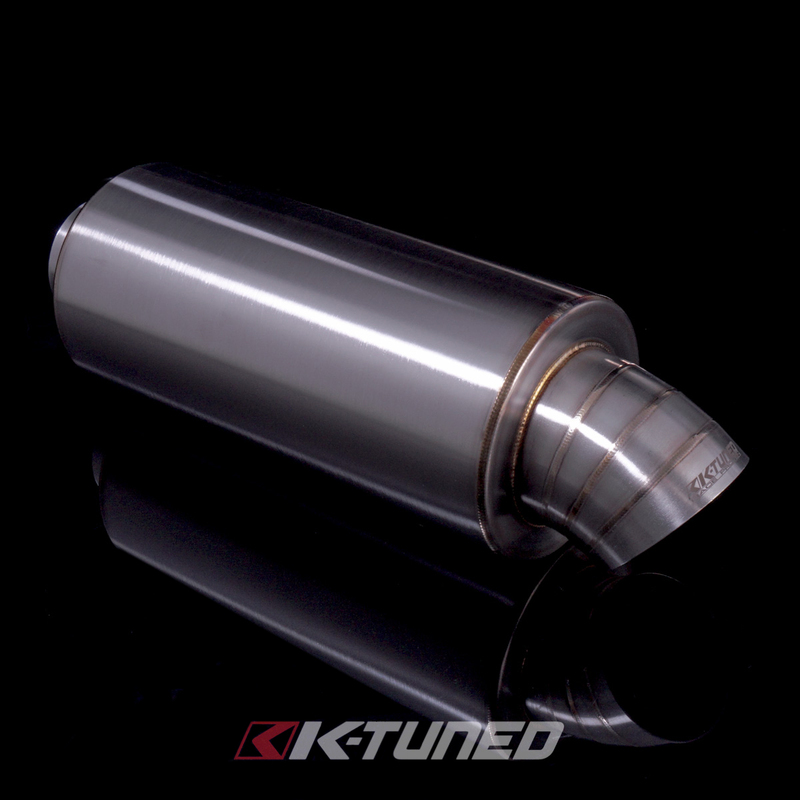 While other muffler manufacturers often use lower grade packing that burns up in a short time, we selected a high quality, multi-layer, premium packing that is made to last. This will ensure that the sound you hear on day one will last for years, and not just a few months. Sound will be slightly louder than our oval design, due to less packing material in the smaller round body. 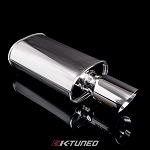 This muffler features a 3.5" diameter turndown style tip. The tip is made from 4 individual pie cut pieces that are beautifully tig welded together. 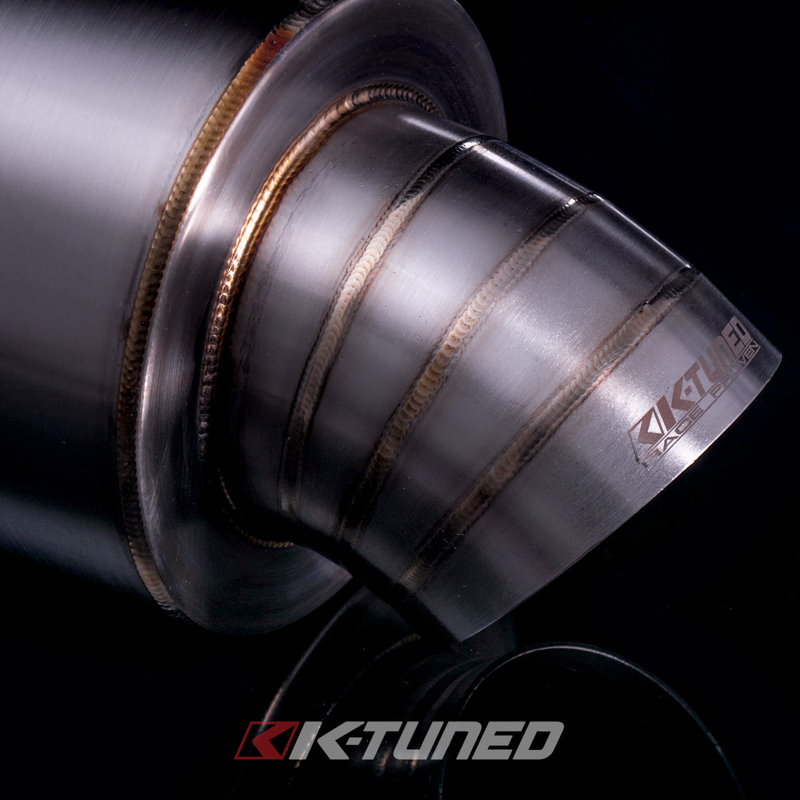 Back purge tig welding is used to keep the welds super clean, ensure proper penetration and weld strength. 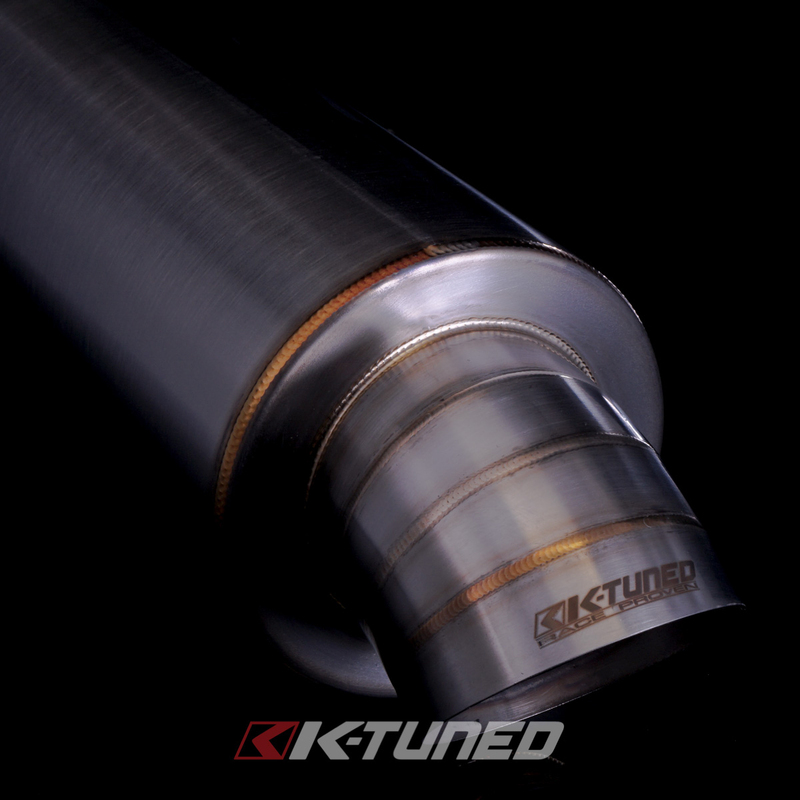 The whole muffler is finished in brushed stainless steel with our K-Tuned logo etched across the top of the tip. 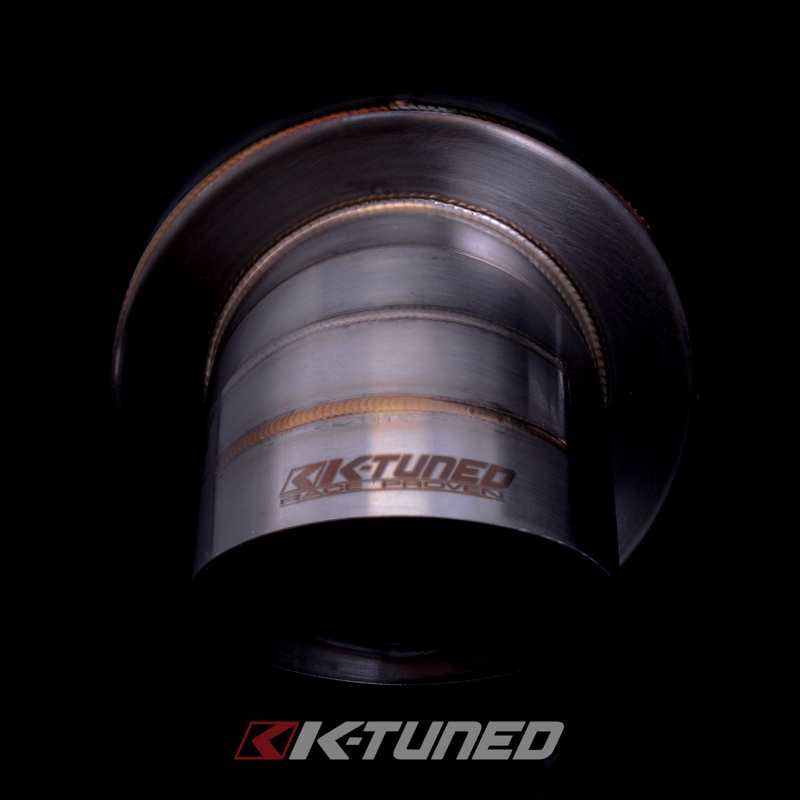 The compact 5.5" diameter round body design is perfect for installation in tight spaces and also offers a 5lbs weight reduction over larger oval style mufflers. Now available in 2.5" and 3"